Those pictured, from left to right, are Master Ted Siders, son Bryce, Grandmaster S.H. Kang, James Lee, Frank Holcomb, and Master Pam Siders. The Point Pleasant branch school of S.H. 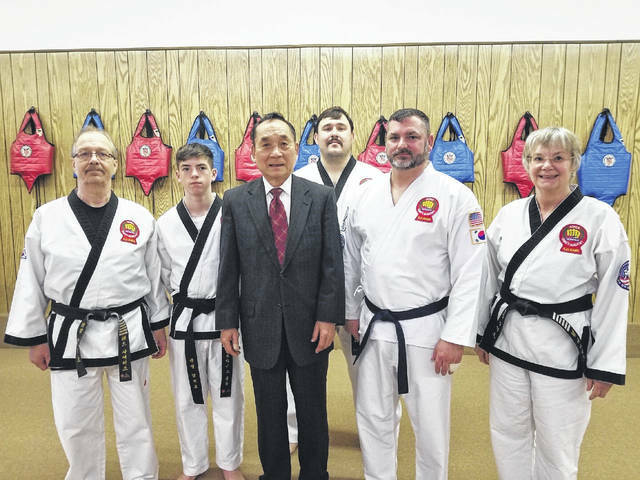 Kang’s Taekwondo Academy recently welcomed its newest black belt, Frank Holcomb. Holcomb tested at the main headquarter school in South Charleston on Saturday, Jan. 5. He now joins his son, Bryce, who previously passed his black belt test in August 2017.